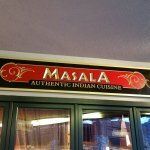 Description: Banff’s only East Indian restaurant offers a wide variety of cuisine. 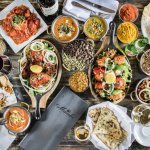 Specialties from the wood-fired tandoori clay oven,many varieties of curry and classic masala fare share the 65-item menu. 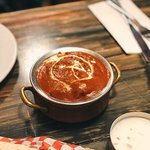 Dishes are made to order–mild,medium or hot. Meals are accompanied by the pleasant sounds and smells of traditional Indian music and spices. Art depicting Hindu God’s and Indian life are features of the casual dining room,while window seats afford view of Wolf Street and Cascade Mountain. Food was amazing, great vegetarian options, staff was extremely friendly. Would highly recommend for families, couples, bigger parties or just alone. Thank you Very much for your valuable feedback and please visit us again. Me and my girlfriend were craving Indian food. The service was 10/10, lovely staff and the food was beautiful. Very impressed. The only thing I would change was the garlic naan bread - it was quite thin and greasy. Prices were very reasonable and we will be back again! 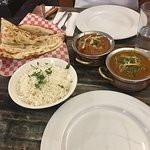 Thank you for your feedback and we will definitely look into the garlic naan preparation.Please visit us again when you get a chance. We really fancied a curry one night and came here. It is a great place service was good and you could tell the curry was freshly made. Liked that you could select how hot or mild you wanted your curry to be as well. Thank you for your valuable feedback and please visit us again. The lunch buffet is amazing at Masala's. 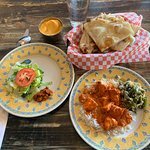 Real, yummy, authentic Indian cuisine. 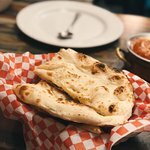 I dream about the naan! The coca cola tasted a little off but everything else was done to perfection! The staff are so lovely... every time. See you again soon! Thank you for your kind feedback and we will look into the coca cola issue and will fix it.Please visit us again when you get a chance. 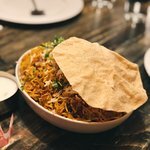 The Masala is a family favorite. If it was only for our kids we would have eaten here all week! The staff is courteous and the food is delicious and reasonably priced. 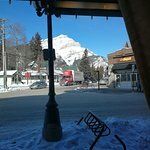 Next time we are in Banff we will be back for sure! Thank you for your feedback and please visit us again when you get a chance. 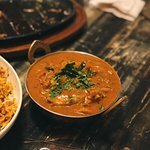 Been to Masala Authentic Indian Cuisine? Share your experiences!